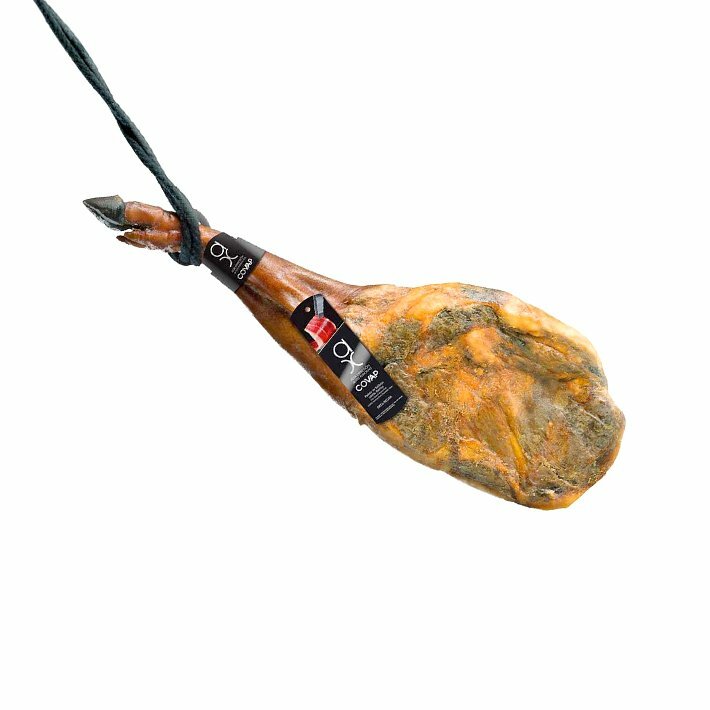 What are the white spots on your acorn-fed ibérico ham? Often when you buy a ham, you encounter some white specks that appear in the cutting surface of the ham. There is a mistaken general belief that the product is not in good condition, but nothing could be further from the truth. These small chalky white dots on the jamón ibérico are the result of the crystallization of an amino acid called tyrosine. It is the result of natural, artisanal and traditional curing and it is a sign of the quality and the excellence of the product. 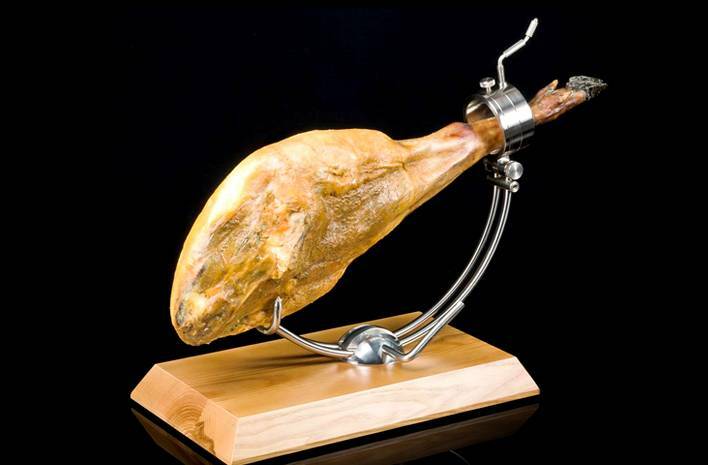 Try our delectable Jamón de Bellota 100% pure Ibérico at Ibérico Club. Whole Paleta Ibérica de Bellota (100% purebred) + Carving Kit "Best in the USA"
Whole Jamón 100% Ibérico de Bellota (16lb) + Carving Kit. "Best in the USA"